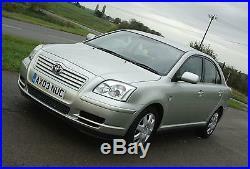 Toyota Avensis T2 D-4D diesel hatchback, first registered 29.7.03, and finished in gold with black trim. 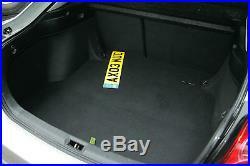 Right how rare is this and at the price Im asking, its also a Bargain with a capital B! 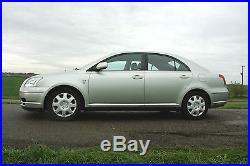 We have here a diesel Toyota Avensis hatchback that has covered just 58,000 miles from new. That is fully warranted and supported by the Mot history from 2006 and a service book. Condition is exactly as you would expect for the mileage, and of course with a Toyota of this pedigree, everything works as it should, and the car runs and drives very nicely. 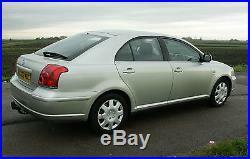 The car also comes with 12 months Mot with just one trivial advisory, and two keys. The mileage is in part explained by the car having spent most of its life so far in THE most genteel of seaside retirement resorts namely Frinton-on-Sea. It was supplied new by the local Toyota dealership there and the first owner kept the car for 11 years and looks to have used it very infrequently it averaged around 2700 miles a year until 2014. Then, with about 30,000 on the clock it passed to another Frinton resident a 65plus lady who I suspect was a friend or relative of the first owner. Just over a year ago, in August 2015, the car had a new three-piece clutch kit; the bill is with the paperwork. Anyway, its been done, and there’s a bill to prove, so you wont need to. History-wise, the Mot history (which of course can be checked online) shows tests at 12,324 (24.6.06), 14,487 (27.10.07) 16,144 (22.10.08), 17,714 (29.10.09), 19,397 (28.10.10), 22,290 (28.9.11), 24,170 (27.9.12) 27,409 (18.10.13), 30,968 (3.11.14), 43,027 (8.12.15) and 57,853 (25.10.16). The service book with the car at present is a replacement issued to the second owner in 2014. Im hoping to track down the original Im sure its out there somewhere however the duplicate book confirms a first two services by Coronation Toyota at 5009 (10.9.04) and 9828 (5.10.05), plus two more recent ones by independent garages at 31,167 (1.12.14) and 43,027 (8.12.15); the main service interval is two years/20,000 miles by the way, with an optional annual/10,000 mile mini-service in between. The car also comes with two keys plus a handbook and, as already noted, a bill for a new clutch on August 11 2015 at 39,473. Aircon fully operational and ice-cold when required, but also an extremely effective heater. 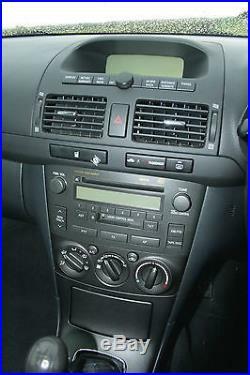 Premium sound system with radio, CD player and tape deck, plus finger-tip controls. 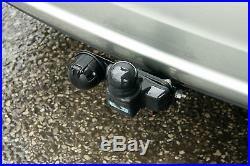 This car also has a towbar with untested electrics. Bodily, for its age Id say this is an excellent example; clean and tidy all round and very presentable on my opinion it looks a lot better than many cars that are less than half its age. 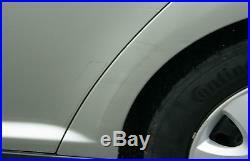 There is a bt of light scratching on the leading edge of the nearside rear wheelarch see photo and a couple of light scratches no denting and may even polish out on the offside rear door. Thats about it as far as I can see though, and overall its a very, very nice example. 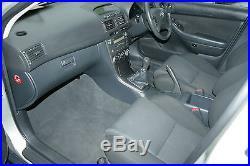 Interior, too, is clean and tidy for its age exactly as youd expect with this mileage and ownership pattern in fact. 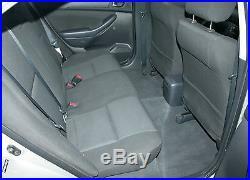 The carpets , seats and trim are all in fine fettle, and its also worth noting that the boot is massive on these cars I reckon theres as much space here with the rear seats up as you have on a Focus with them down! As you would expect, the car seems all-good mechanically as with all my cars its had 100 miles of test-driving and starts easily, all warning lights come on and go off as they should, and it runs and drives extremely well; smooth and comfortable. Whats more, the onboard fuel computer regularly indicates 60mpg average. So there we are a genuine low mileage diesel Avensis in very good order all round with a new Mot and all ready for its new owner. At my asking price its also a bargain with a capital B! Im in South Lincolnshire, slightly under two hours from London or the West Midlands. Nothing at all onerous – but please read in full. In that time Ive edited Practical Classics now a lot better than its been for ages; well done Danny, Keith and co.. , Car Mechanics, Classic Car Weekly and Im currently Editor of Classic and Vintage Commercials. All my cars are, to the best of my ability, described fairly and accurately; making something sound better than it is just wastes everyones time. I also want you to be happy. Therefore, although most deals are agreed based on my description, I never consider it finalised until you have met me face to face and seen and test-driven the car to satisfy yourself it is as I say it is. If on seeing and driving the car you think its been misdescribed in any way, Ill return any deposit youve paid and you can just walk away with no hard feelings or unprovoked bad feedback. I do not accept cheques of any kind. Please also be aware that I will only ever offer a basic trade value – my margins are too tight to do more. If your old car is basically scrap but is still a runner and its easier to drive it here than arrange lifts etc. The item “LOVELY 2003 TOYOTA AVENSIS T2 D-4D DIESEL, JUST 58,000 MILES WARRANTED” is in sale since Thursday, December 15, 2016. 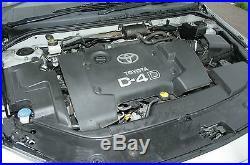 This item is in the category “Cars, Motorcycles & Vehicles\Cars\Toyota”. 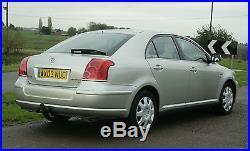 The seller is “peterincambs” and is located in Spalding. This item can’t be shipped, the buyer must pick up the item.